As we discussed in our previous post, Josef Knull was well-recognized as a curator, a collector, and as an expert in wood-boring beetles. As a taxonomist he studied and described new genera and many new species of beetles in various families. However, there’s another side of Joe Knull that hasn’t gotten the same attention: his talent as an artist. While moving some old books around the other day, we found a few pieces of what looks like a poster presentation by Joe Knull that provides information on how to draw on Ross board. 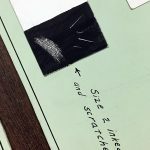 This is a textured scratch board for making drawings. A skilled artist, by varying the intensity of shading and, hence, accentuating the texture on the Ross board, can practically bring a two-dimensional drawing to life! 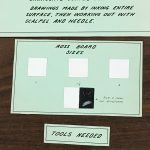 According to Chuck Triplehorn, Joe was proficient in various drawing techniques and was particularly good at indicating shape and surface texture through the use of stippling. Parts of an instructional poster produced by Josef Knull. 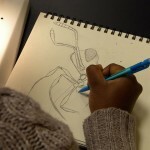 Detail of drawing technique on Ross board. 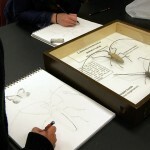 Image illustrates the various steps of scientific drawing on Ross board. Intricate drawing of beetle on Ross board. 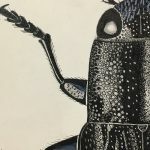 Joe’s 1924 Master’s thesis (archived in the OSU Library holdings) contains a number of detailed illustrations of beetle species found in Pennsylvania. Here are some photos of the original plates. Sample of scientific illustrations produced by Josef Knull. Eastern Poplar buprestid, Poecilonota cyanipes (Say), illustrated by Knull. 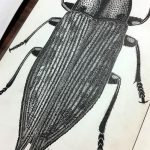 Flatheaded Wood Borer, Chalcophorella campestris (Say), detail of illustration produced by Josef Knull. 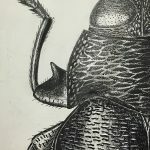 Actenodes acornis (Say), detail of illustration produced by Josef Knull. Many of Joe’s publications contain original illustrations of specimens, signed with a simple and elegant ‘J.N.K.’ For example, “A new species of Mecas in Texas” includes a beautiful drawing of Mecas linsleyi and “A New Subspecies of Acmaeodera Quadrivittata Horn” a drawing of Acmaeodera quadrivittata cazie. For those interested in seeing more of Joe Knull’s scientific illustrations, PDFs of his publications are available in the Ohio Journal of Science via the OSU’s Knowledge Bank. We never met Joe Knull in person. Chuck Triplehorn mentions Joe’s wry sense of humor, but overall our image of him was that of a tough, strict, mostly surly kind of guy. That is, until we saw his paintings, the ones he did for fun. There’s a certain vulnerability and playfulness that we did not associate with Knull before and that is very refreshing. There’s certainly more to Joe, as to most of us, than the work we do. We thank Sally Wilson, Dorothy J. Knull’s nice, for the photos of Joe Knull’s paintings. She tells us that the paintings hang on her grandsons’ walls. ☘ Knull, J. N. 1924. The Buprestidae of Pennsylvania. Thesis. The Ohio State University. 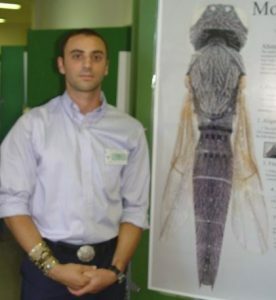 About the Authors: Dr. Luciana Musetti is an Entomologist and Curator of the Triplehorn Insect Collection; Dr. Norman Johnson is Professor of Entomology and Director of the Triplehorn Insect Collection. 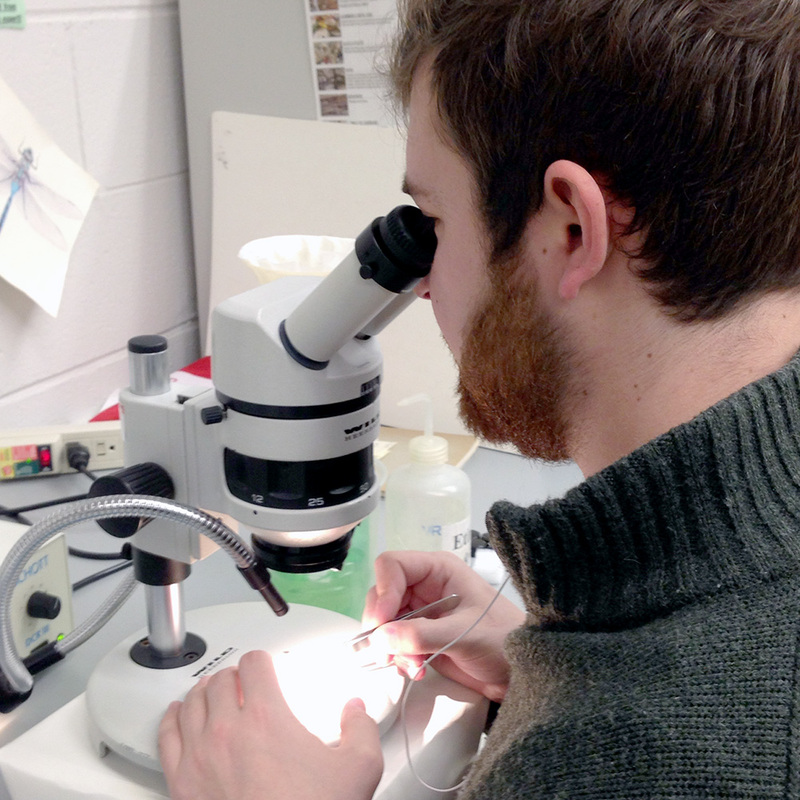 For the past several weeks, Zach Griebenow (undergraduate student assistant, blogger, majoring in Entomology), and I, with some help from Abbie Zimmer (volunteer, majoring in Art) and Dr. Natalia Molotievskiy, have been reorganizing the beetle holdings of the Triplehorn collection to reflect the changes in the classification of the Coleoptera at the superfamily and family levels (per Bouchard et al., 2011). This is a laborious process that involves moving (almost) all of the 1,629 (heavy!) 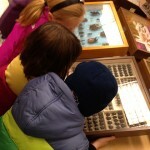 wooden drawers containing beetles. On any given day we may move 100-200 drawers in a couple of hours. We are now more than two-thirds of the way done and hope to finish ‘the big switcheroo’ in 2-3 weeks. 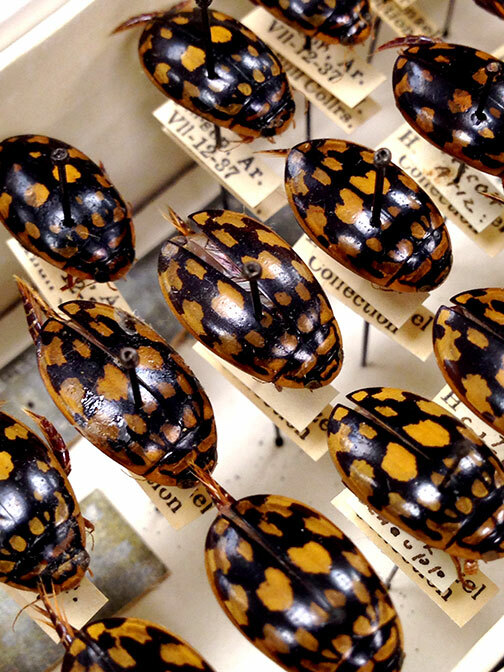 This re-organization is a big step, and it will greatly facilitate the next phase of the re-curation and digitization of the beetles in the collection. As we worked, moving drawers in and out of tall metal cabinets, I had a chance to look at the contents of the collection again, not with the critical eye of the professional whose job is to upgrade the curatorial status of it, but with the eye of the student who was seeing it for the first time. This rekindled my appreciation for Joe Knull’s work and his dedication to the collection. 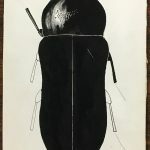 For those unfamiliar with the Triplehorn Insect Collection’s history, Josef Nissley Knull (1891-1975) was hired in 1934 as the full-time curator of insects, and that marks the initiation of a formal entomological collection at Ohio State. Joe Knull was notoriously meticulous in his care for the collection. He was held up by most entomologists across the country as the extreme example of tidiness and organization. 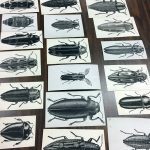 We still have many drawers of beetles that were arranged by him: long series of accurately determined, properly mounted, neatly positioned, and perfectly preserved specimens. There are many stories about Joe’s strict rules in the collection: no smoking, no whistling, no careless people, absolutely no breaking specimens. 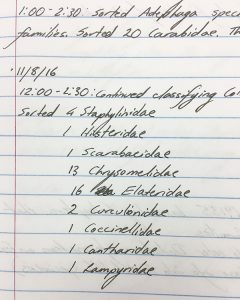 He allegedly kept a list of all the people who broke specimens. Unfortunately, we have no hard evidence that this list existed, but those who knew him say it would be very much like Joe to do that. For 28 ½ years Professor Knull devoted his career to the expansion and arrangement of the collection. 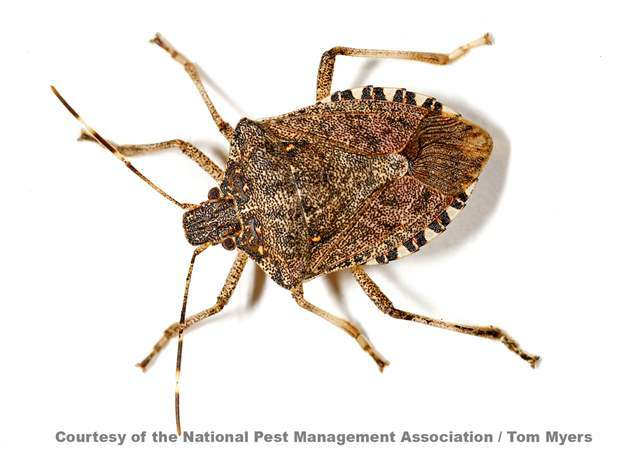 Each summer of all those years, and those afterward during his retirement, was spent in the field with his wife and fellow entomologist, Dr. Dorothy Johnson Knull. Both were outstanding collectors, and the results of their efforts are reflected in the volume and diversity of material they added to the collection. Joe was interested in all insects, but he was dedicated to the study of beetles. 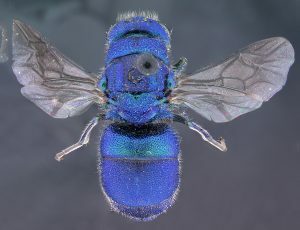 He published more than 190 papers between 1918 and 1975, particularly on the families Buprestidae, Cerambycidae, Elateridae and Cleridae (Davidson & Bellamy, 2002). 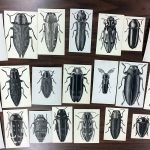 The many years of field work with emphasis on beetles, particularly in the Midwestern and Southwestern states, resulted in a truly outstanding collection of North American Coleoptera. Professor Josef Knull retired from OSU in January of 1962, but continued collecting and contributing to the OSU collection until the early 1970’s. He died, here in Columbus, on April 24, 1975 at the age of 83. His legacy lives on in every publication generated by the use of the specimens he so carefully collected and preserved, in every visit the collection receives by scientists from the US and abroad, in every specimen image we make available online, in every database query of the 148,154 beetle specimens we have already digitized. 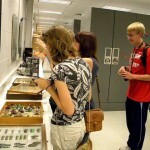 We started re-curating the beetles in 2011. 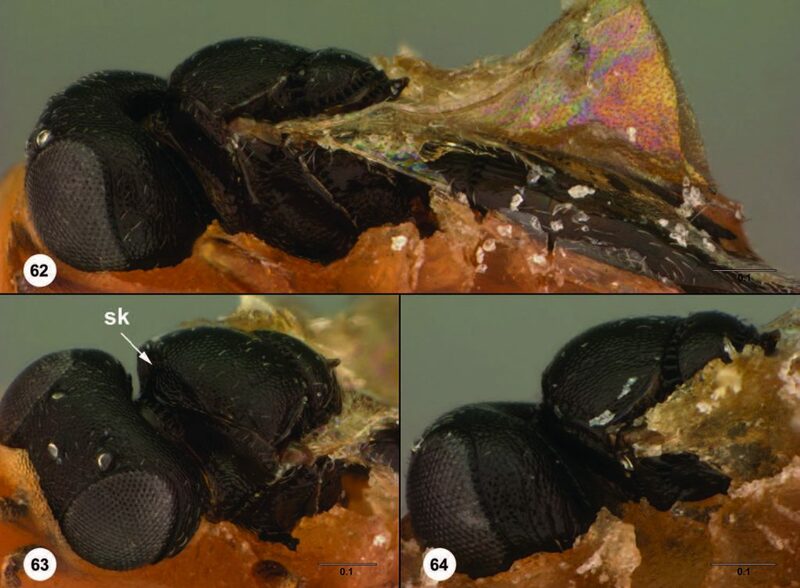 To date, the Carabidae, all 41,466 of them, have been moved to archival quality trays and entirely digitized. 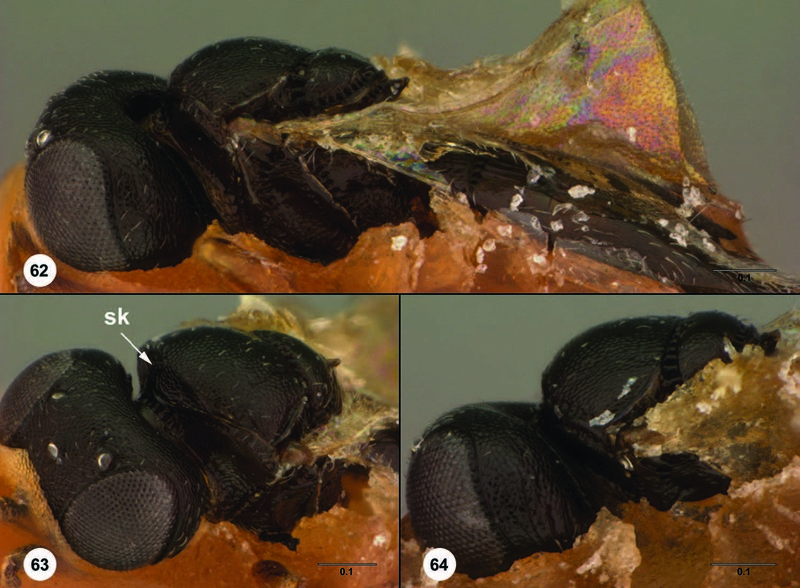 Our student assistants are now deep into the digitization of the Tenebrionidae, a whopping 65,150 specimens. Our volunteers are helping with collection organization. 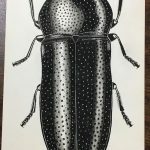 As we continue on with the task of re-curating and digitizing this vast beetle collection (estimated at around 1 million specimens), we keenly feel the responsibility of living up to Joe’s high standards of collection care. I hope he would approve of our work. Check out the collection’s Facebook page for more photos of Joe Knull and other personalities in our history. If you are interested in learning more about our work, or would like to volunteer to help us tackle this enormous project, please get in touch. ☘ Davidson, J. M. & C. L. Bellamy. 2002. 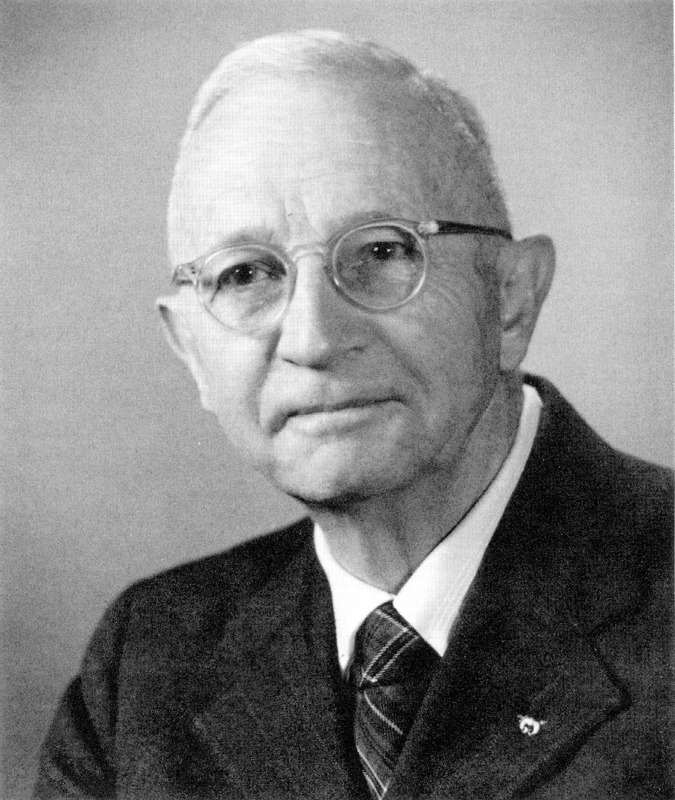 The Entomological Contributions of Josef Nissley Knull (1891 – 1975). Zootaxa 37: 1-24. ☘ An earlier version of this article appeared in the MBDNewsletter Spring Semester 2013, page 4. Johnson & Musetti. The Knull Legacy – Joe Knull. For more about Zach Griebenow, read his interview to Paige Brown Jarreau at From the Lab Bench blog. Here’s one question I get frequently from visitors: “Why, oh, why, isn’t the Museum of Biological Diversity open to everyone every day?” That’s a very good question! Here’s an answer. Unlike institutions such as the Smithsonian Museum of Natural History, the Field Museum, the Carnegie Museum, or our neighbor the Cleveland Museum among others, our museum largely grew out of a background of higher education and research. We have a different structure and a different mission than these other very fine institutions. 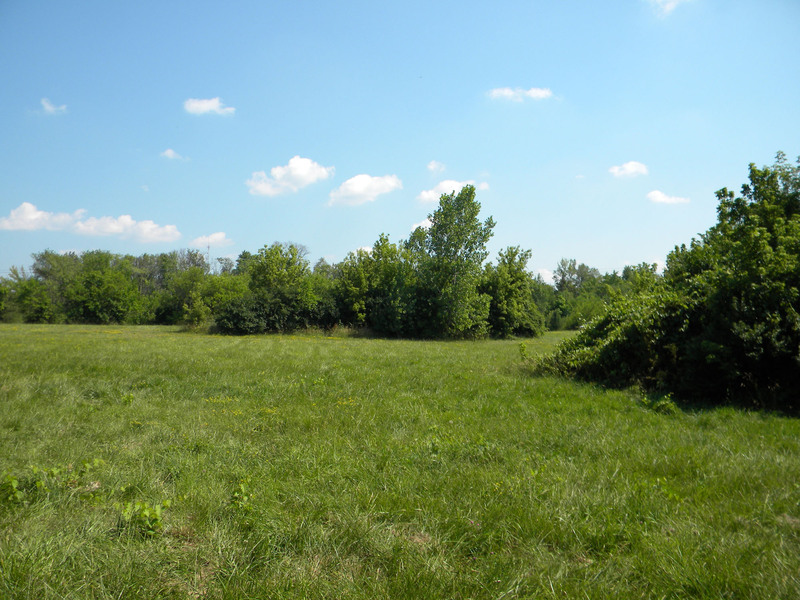 The most visible outcome of these differences is the fact that we don’t have large display areas and exhibits. We also do not have staff dedicated to public outreach. But it’s good to keep in mind that the MBD collections vary in the kinds of services they provide to the community. Each is unique in it’s own way. My little corner of the MBD is the Triplehorn Insect Collection. 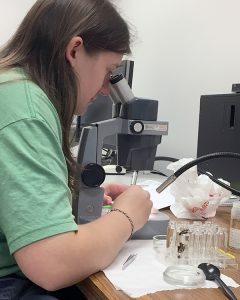 We are a research facility and most of our specimens are only accessible to professional scientists and scientists in training (graduate students, postdoctoral associates, etc.) This policy gets me in trouble with a lot of people who love insects and would like to come in to “see” (many times that means “touch”) the collection. So, before anyone else gets hot under the collar about that, let’s try to understand what that policy means. Dried insect specimens are as fragile as they are colorful and beautiful. The more they are handled and exposed to light and humidity, the faster and more likely they are to get damaged. 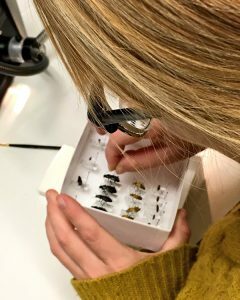 The insect specimens in the Triplehorn collection are the result of more than 100 years of careful collecting and curation, many of them were collected in forests and meadows and prairies that do not exist anymore. These specimens are, literally, irreplaceable, and it is our responsibility to keep them intact for many more long years. Aquatic beetles. 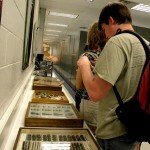 Part of the holdings of the Triplehorn Insect Collection. Because of that, we restrict access to the specimens to only the people who must use them for scientific study, professionals who have lots of experience with museum specimens and therefore are less likely to damage our precious charges. As the curator of the collection, it is my responsibility to protect and preserve the specimens for the long run. To do that I have to enforce the “restricted access” policy. Now, the fact that we are a research collection does not mean we don’t welcome visitors. Quite the contrary! 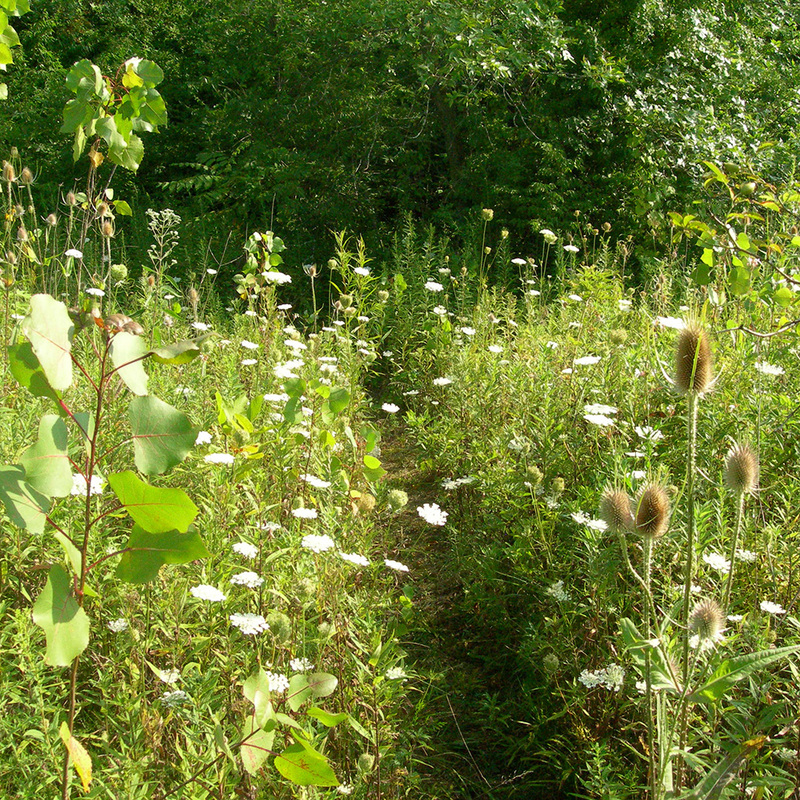 We are committed to sharing our knowledge and love of biodiversity with everyone interested. While we don’t have exhibits per se, we frequently and happily provide tours of the collection to people from the local community. 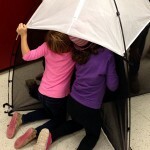 Or even not so local: our audience is wide and varied, from k-12 to university classes, to family or neighborhood groups, to homeschool groups, to citizen scientists and individuals interested in local and global insect diversity. 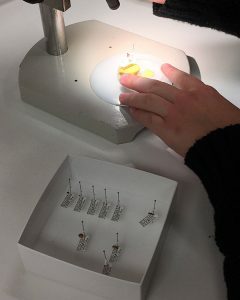 Up to now we have been scheduling visits as requests come in and our time allows, but starting this month we in the insect collection will be teaming up with our colleagues in the Mollusc Division of the MBD to offer guided tours of the two collections to the general public on set dates. This initiative comes as a response to the increased interest in the collections, demonstrated by the increase in visit requests. Tours will still be arranged in advance, but by specifying which days are open for tours we hope to make the whole process a bit easier and more predictable. The set dates might not work for all visitors, but by working together and establishing a structure for tour activities, we hope to continue serving the community without drastically increasing the work-load of our already overworked staff. 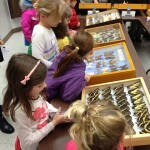 The next available dates for insect collection/mollusc collection joint tours are Friday, October 23rd and Friday, November 6th, from 1pm to 4pm. Total estimated tour time for the two collections is between 45 min to 1 hour/group. Group size limit is 20 adults. For more information or to schedule a guided tour, please contact Tom Watters or Luciana Musetti. 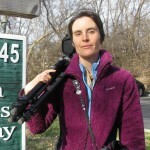 About the Author: Dr. Luciana Musetti is an entomologist and Curator of the C.A. 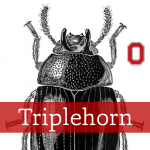 Triplehorn Insect Collection. 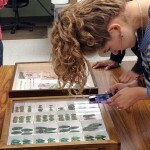 Collecting insects is one of the many activities of staff and volunteers at the Triplehorn Insect Collection. 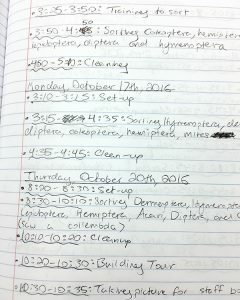 Each time we go out in the field and collect we create a tiny snapshot of the insect fauna of that specific place and date. It’s far from complete, but adds to our knowledge nonetheless. 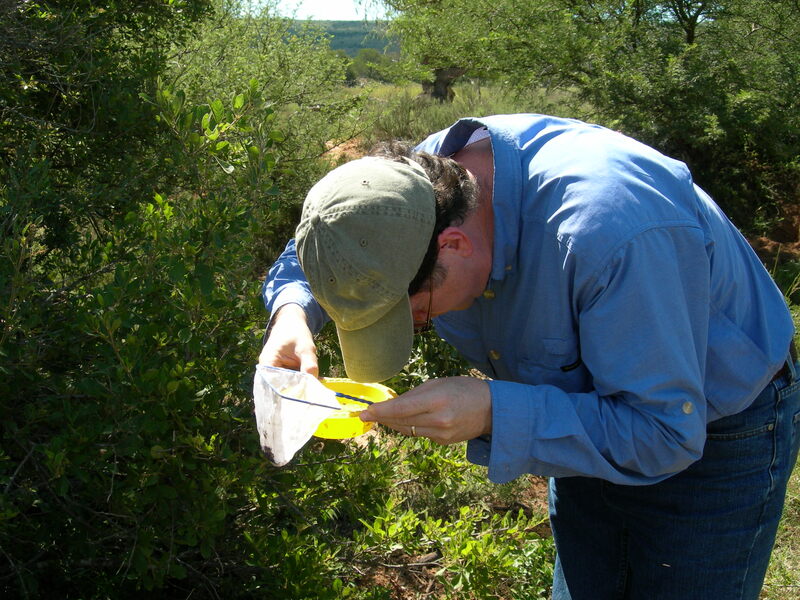 We do not need to go far to find insects that no one has ever studied before. Even in our own backyard, next door to the Museum of Biological Diversity, we find new or rare insect species and discover new facts about known species. 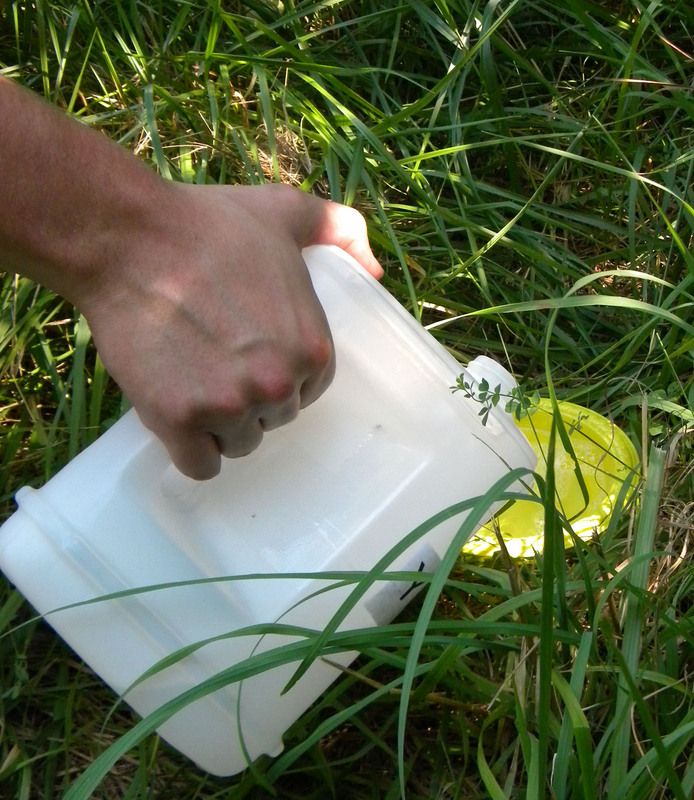 One of the methods we frequently use to collect small flying insects is the pan trap – a bowl with water and a drop of clear, unscented liquid soap. 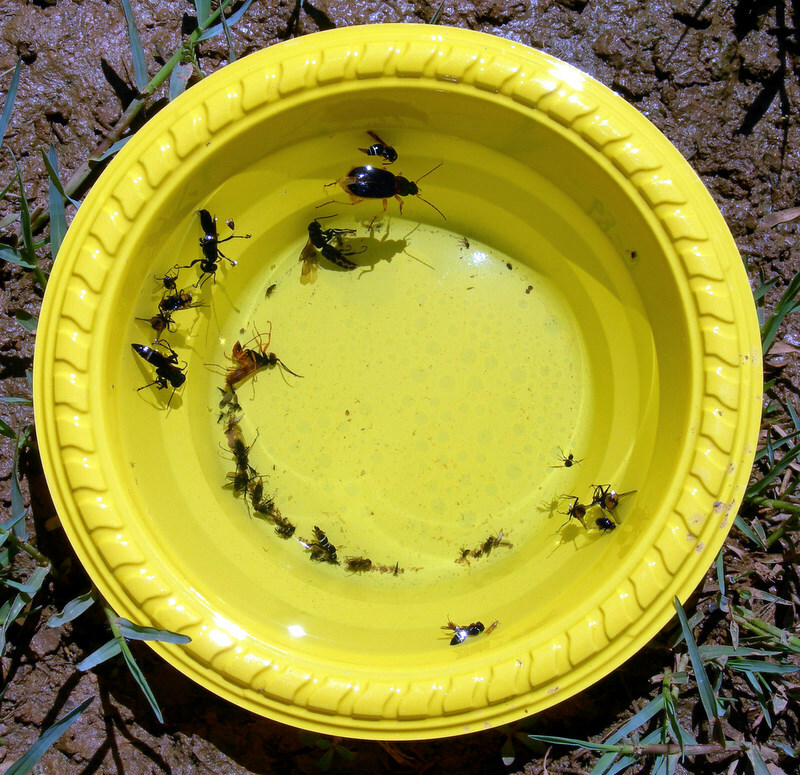 The soap breaks the surface tension of the water and makes the insects sink. The color yellow (bright yellow!) 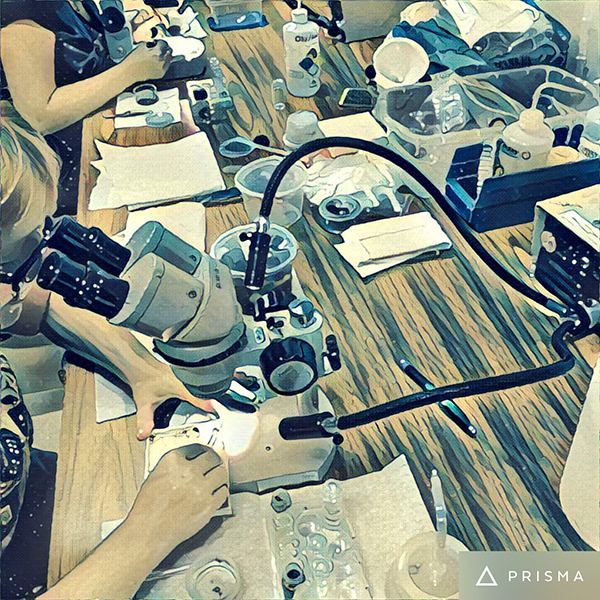 attracts many insects, including the parasitic wasps that several of us in the collection study. 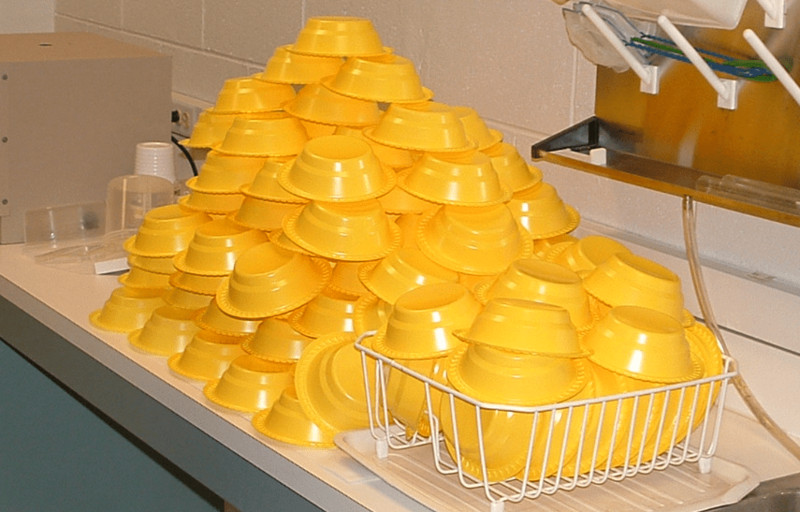 Our yellow pan traps, (or YPTs for short) are simple plastic party bowls. 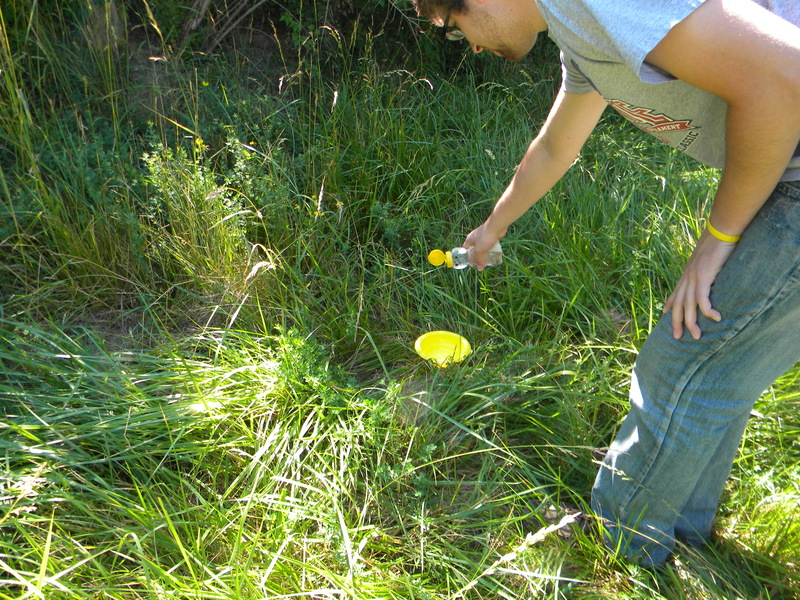 For best results we leave the YPTs out in the field for about 24 hours. After that we remove the catch, and start the cycle again: fill the YPTs with water, add soap, leave for 24 hours, remove catch. We usually set up 25-50 YPTs in one spot and that’s one sample. 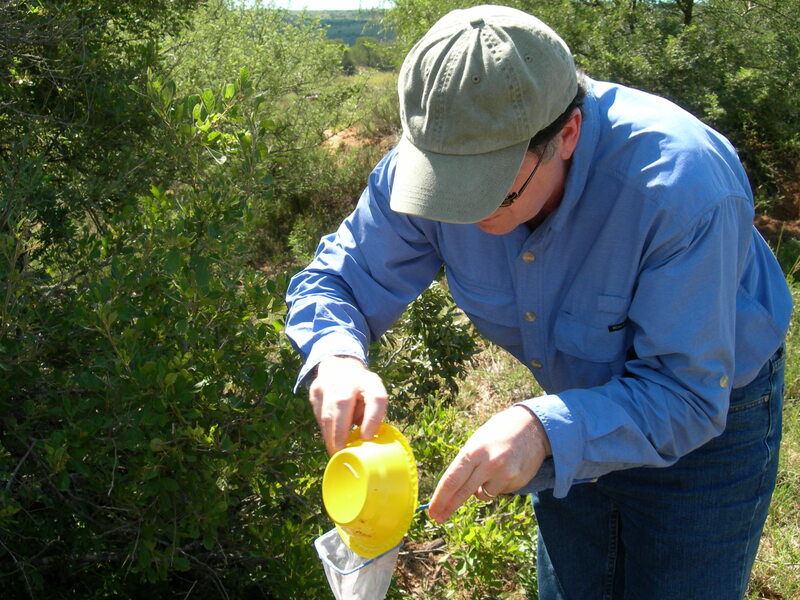 There are a couple of variations on how to empty the traps: scooping the specimens with a fine fish net, or pouring the content of the trap through the net. Either way the specimens get separated from the soapy water, and then are carefully washed with clean water to remove all the soap residue. 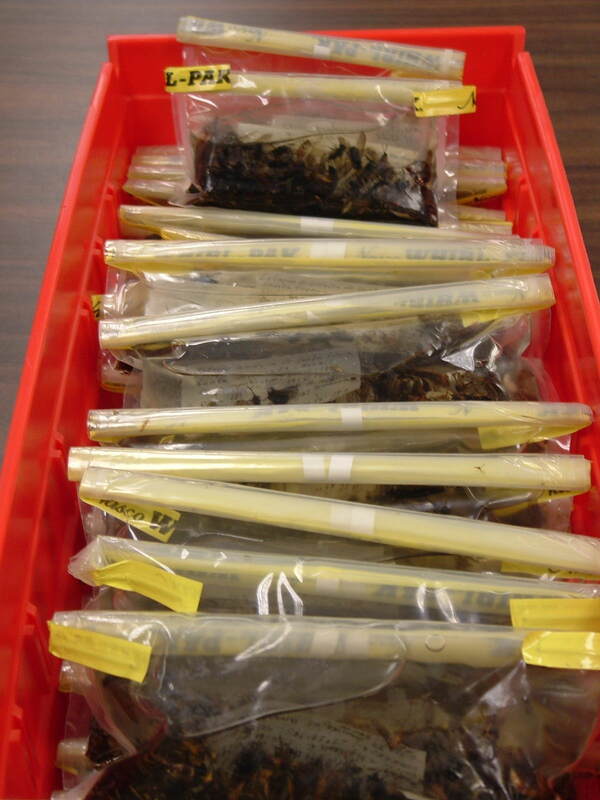 Once washed, the specimens are preserved in 95% ethanol and placed in a freezer. That slows the degradation of their DNA and allows for molecular level studies. 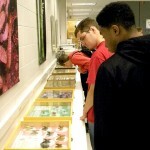 Later, we sort the specimens into groups (beetles, wasps, leafhoppers, etc.) 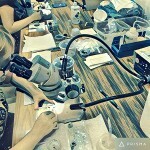 and start the long process of specimen preparation for study. The YPTs are washed and saved for the next collecting season. Click or tap on the image to enlarge. Collecting locality across the street from the Museum. Collecting locality next door to the Museum. 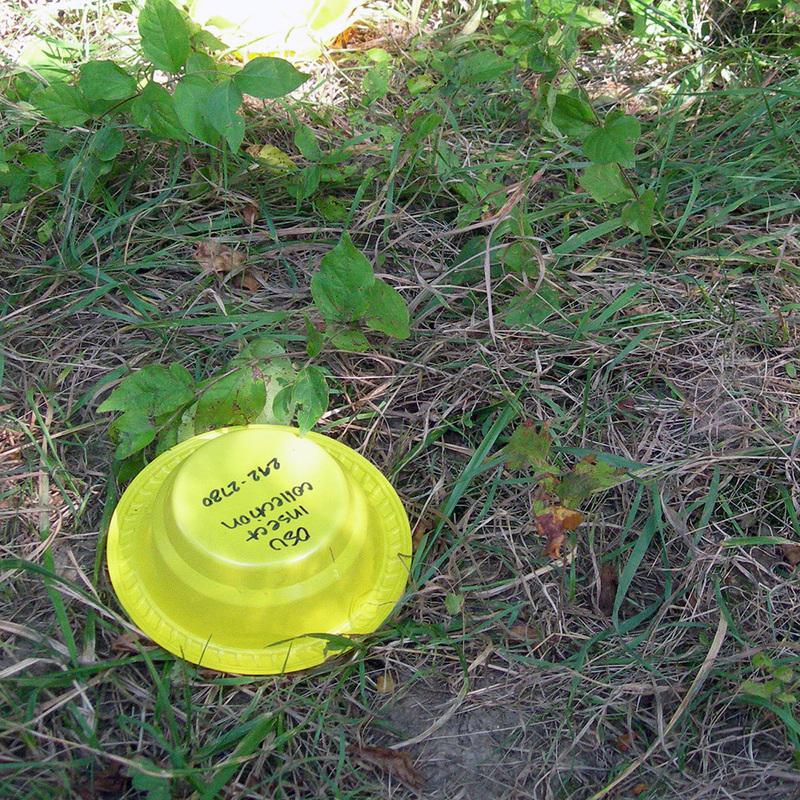 Yellow pan traps are labeled with our name & phone number. Set pans on the ground. Avoid direct sunlight, but don’t hide them. Add a drop of soap to each pan trap. Add water to each pan trap. Add water to each pan trap, don’t overfill. 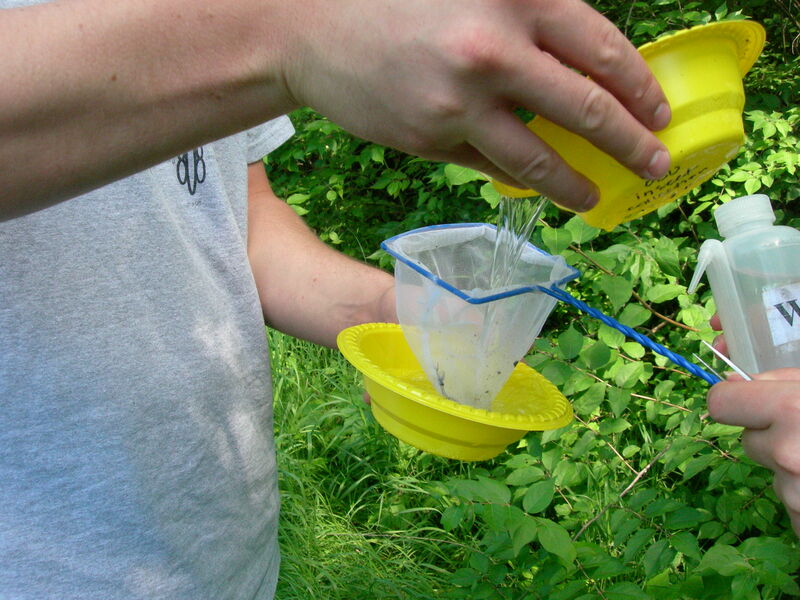 Alternatively, mix soap and water before adding to the traps. Photo by H. Clebsch. Relax and let the YPTs work for 24 hours. Single YPT after 24 hours in the field. Awesome catch! 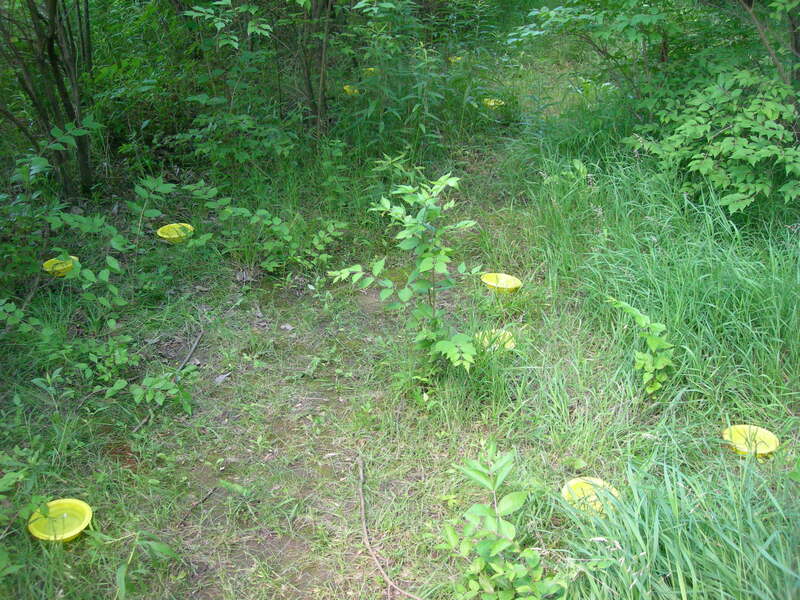 Check the content of the trap, remove twigs, leaves, and other debris. 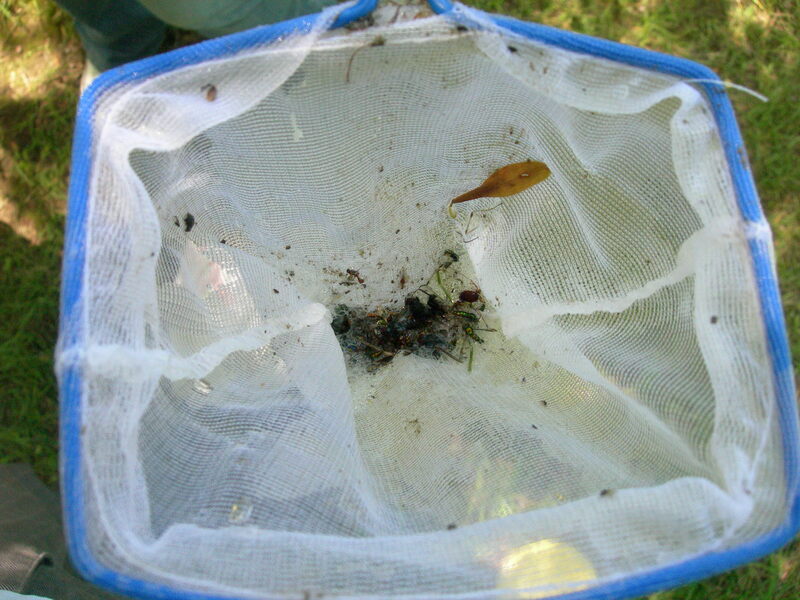 Pour (or gently scoop) the content of the trap in fine fish net. Discard soapy water. 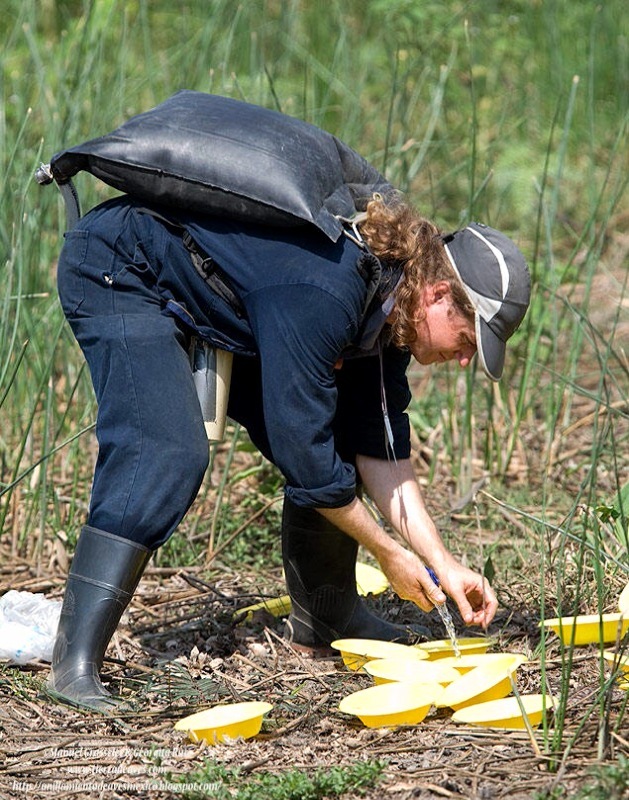 Carefully wash the content of the yellow pan trap with clean water several times. Discard the water. 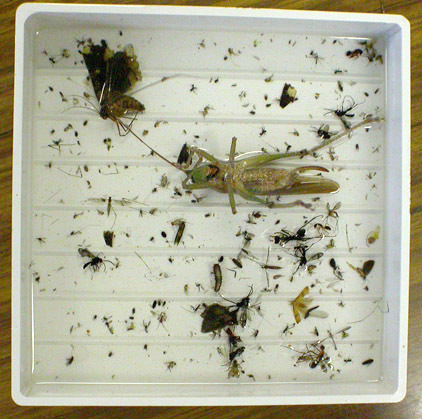 Insect specimens collected with yellow pan traps. That’s one sample. Transfer the specimens to 95% alcohol for better preservation. 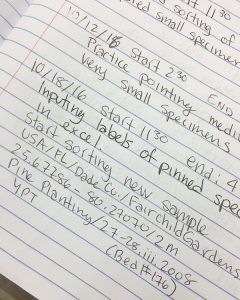 Add collecting label to each sample. Sort small specimens. We need to use a microscope for that. Wash, dry and save YPTs for next collecting season. A heartfelt thanks to the people in these photos: Zach Hurley (collecting, adding soap, adding water, washing, sorting), Matt Elder (collecting), Norman Johnson (checking the catch, emptying YPT), Hans Clebsch (adding water to YPTs); and to the anonymous biker going by the Museum building. About the Author: Dr. Luciana Musetti is the Curator of the Triplehorn Insect Collection at Ohio State University. All photos are courtesy of the author, except for the one of Hans Clebsch.